Personalized Gifts: Eco-Sustainable they are Better. 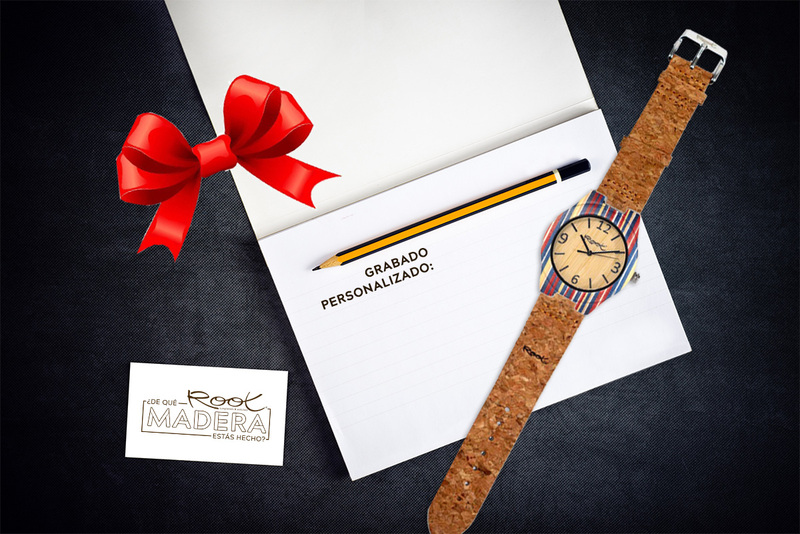 Personalized Gifts, if they are Eco-Sustainable Better. Personalized gifts are trend. It allows us to take the art of giving to its maximum expression since the person given is receiving an object that has been thought only and exclusively for him or her and that detail, the moment of reception will be recorded in the memory of the receiver forever. 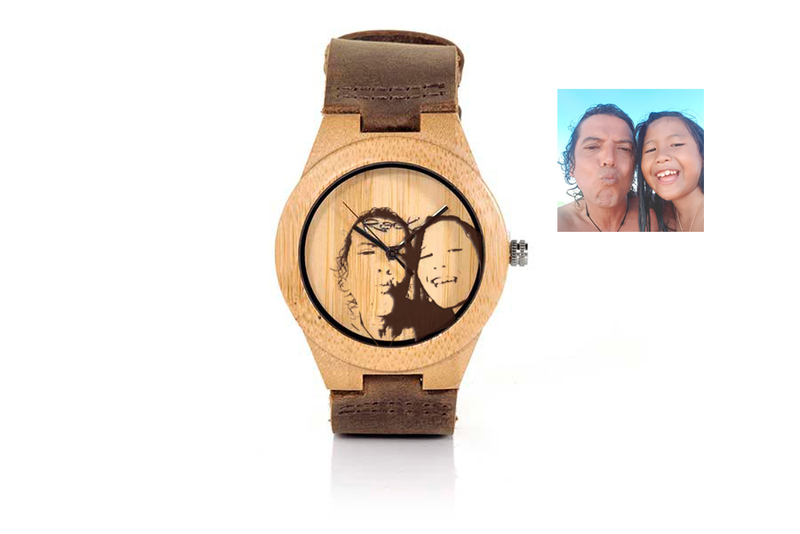 When in addition that object has been manufactured manually with natural materials in a sustainable way and is an ecological product as for example one of the Root Wood Watches models we are taking the act of giving to a higher dimension. This type of customization is the most basic and is not visible to everyone, but is hidden in the back of the watch so that only the user knows about it. 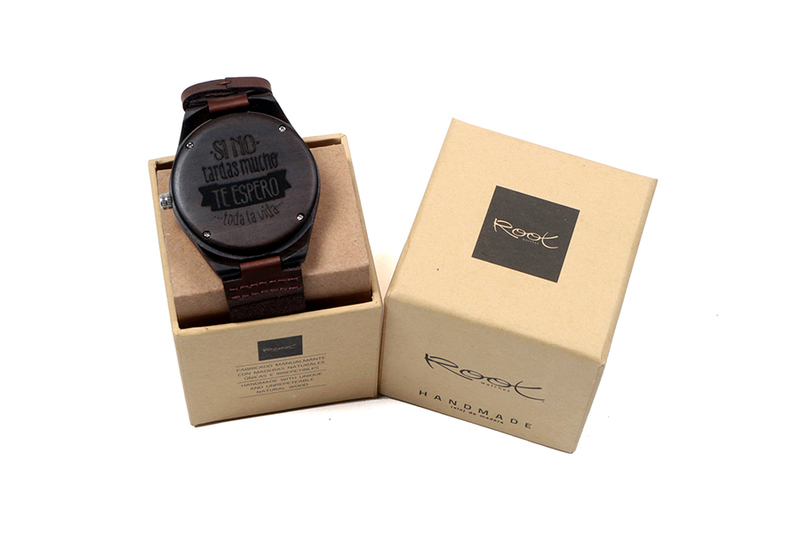 It consists of recording a personalized message that may contain only text or small graphics on the wooden back cover of the watch. Being an engraving is perennial and does not fade over time. It is possible to choose between several predesigned templates that you can click on the image above, or if you prefer the user can send the message or design you want to record to obtain a totally original and exclusive result. This Engraving service usually has an additional cost of € 7.95 on the price of the watch, however it is FREE during Christmas 2018-2019 (for orders received between November 15, 2018 and January 7, 2019). This customization is more complex since it requires completely disassembling the wooden clock to access the dial, and once the image is recorded, reassemble the watch completely. The result is a unique and special piece totally personalized. It is possible to record almost any image and before proceeding to the engraving a simulation is sent to the client so that he can get an idea of ? ?what the final result will be like and of his approval or send an alternative image. Therefore, it is a totally personalized service for each client. The price of the service is € 24.95 in addition to the price of the chosen watch. You will be able to obtain a totally personalized result combining both options a same natural wood clock. Record the dial and include a small personalized message on the back cover of the chosen wooden clock and you will have the perfect gift for this Christmas.